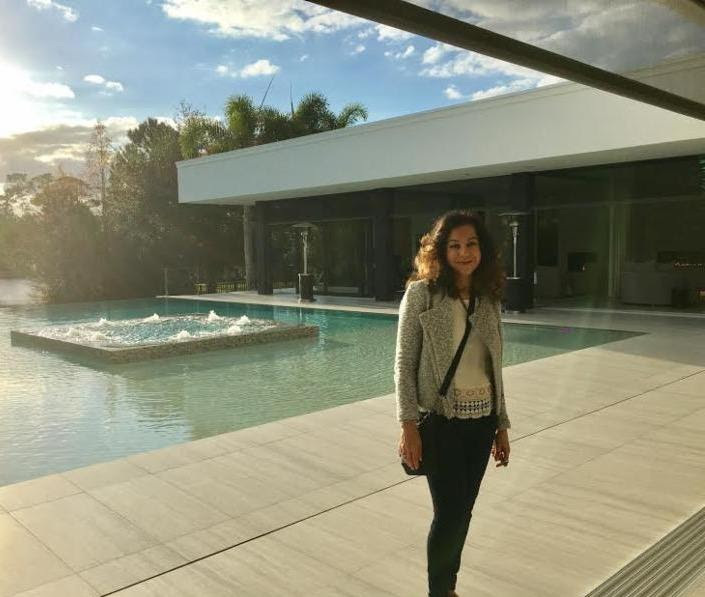 The creators of this $6 million home spared no expense to combine an indoor-outdoor living experience in which the line between inside and outside the home is blurred. At 8,200 sq ft, this home is grand in size; yet, the design has it looking even grander. For example, the large windows surrounding the courtyard create an inclusive vibe that feels as though the courtyard is an extension of living space, rather than outside grounds. We saw this concept throughout this home; every room had a view to the rest of the house, and to the surrounding nature. The styling and décor is simple so that the outdoors truly becomes the highlight of each room. The tall windows create the illusion that this living area is trill outdoors. 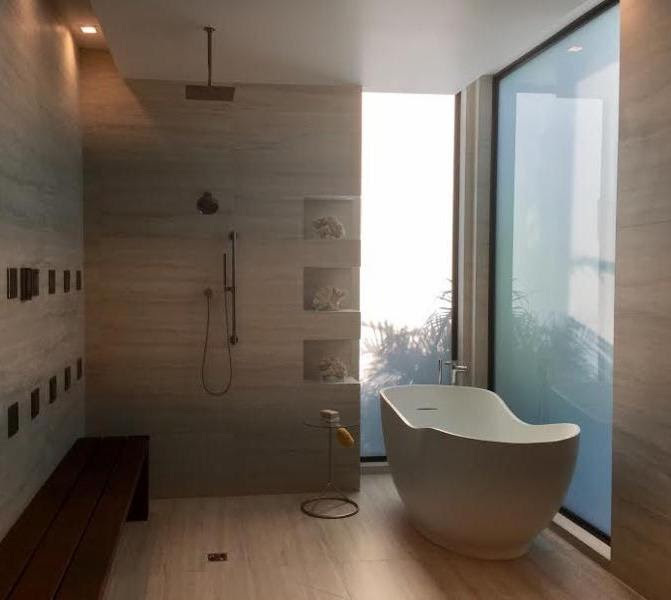 This concept of combining the indoor and outdoor is continued into the bathroom with only a large window separating the bathtub from the palm trees. 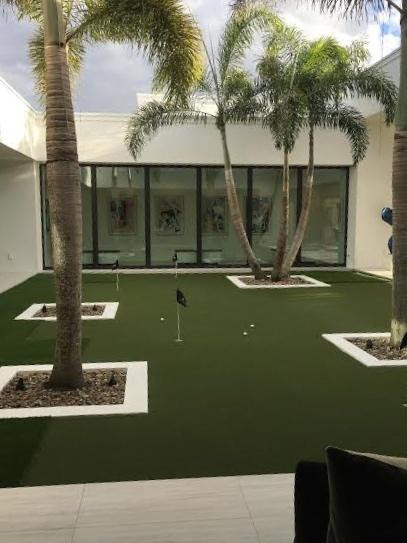 This home also bring the outdoors back inside in a completely new way that any golfer would appreciate. 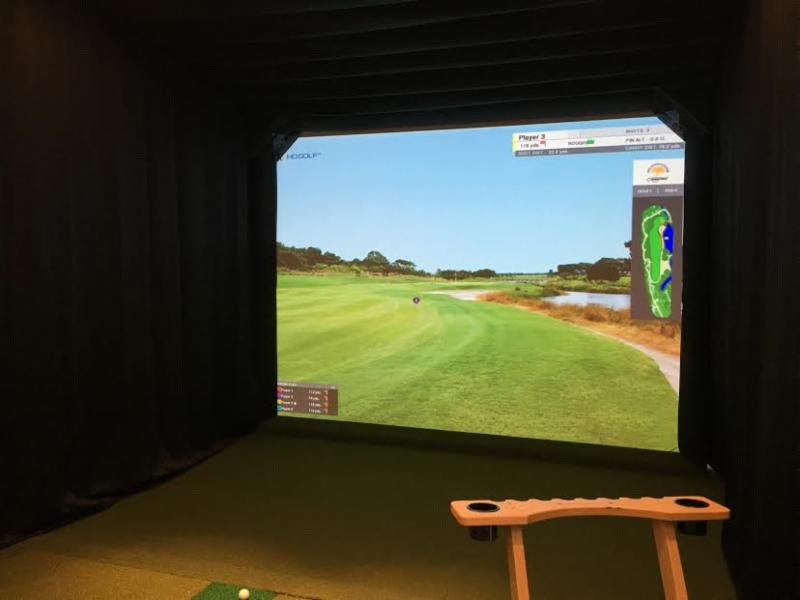 Homeowners can play a virtual game or practice their swing on this simulator, all while feeling like they’re actually on the golf course. 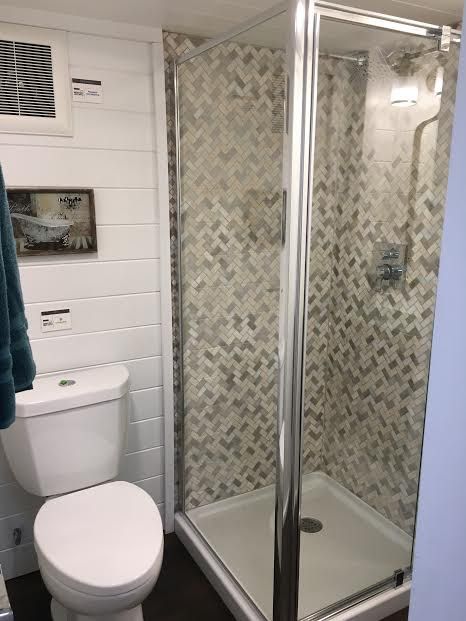 While the multi-million dollar mansion is magnificent, I also had the opportunity to tour a Tiny House. 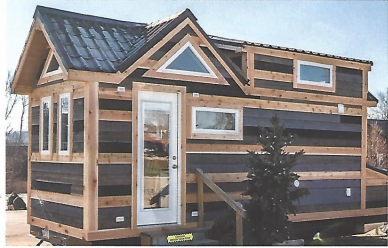 Tiny Houses are gaining popularity in the housing market for their self-sustainability and low maintenance costs. These homes are classified by their petite stature (500 sq ft or less!). See what that size actually amounts to in the picture below. Even though these houses are tiny, homebuyers are not forced to compromise. 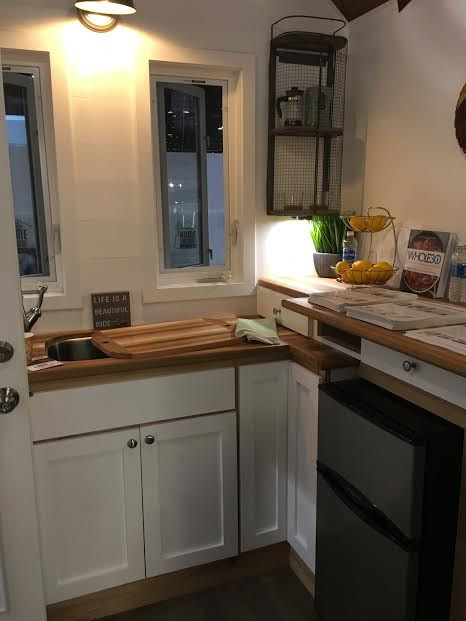 Specifically, tiny homes are designed to be completely equipped with fully functional kitchens and bathrooms. 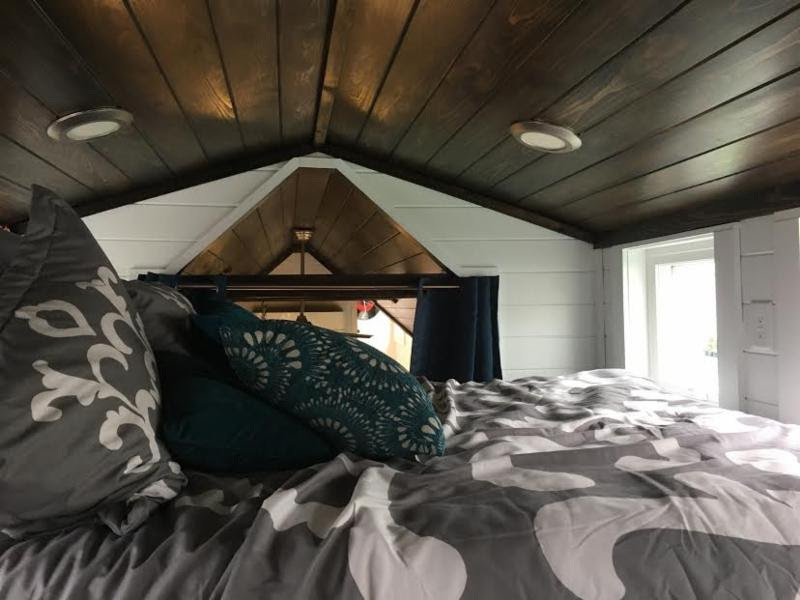 Often, a Tiny House features a lofted sleeping area to utilize the horizontal space, with the slanted roof to create an illusion of a higher ceiling. This one-st0ry 55+ community model home highlights the future o the housing market with various innovations and gadgets. 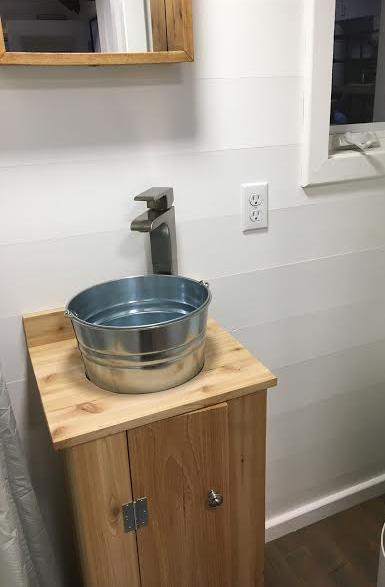 Saving space should not be exclusively for the Tiny House. Rather, utilizing all space provides any homeowner with the opportunity to enhance a room. This den consisting of a sofa and shelves can easily be transformed into an extra sleeping space for guests. With this illusion, homeowners don’t have to compromise living space or an extra bed– it’s possible to have both! Continue the coziness by the outdoor pool. 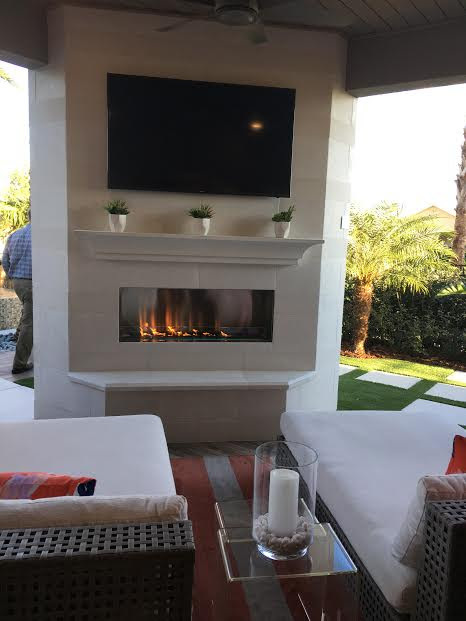 Homeowners can stay cool by day and warm by night with the attached fire pit. 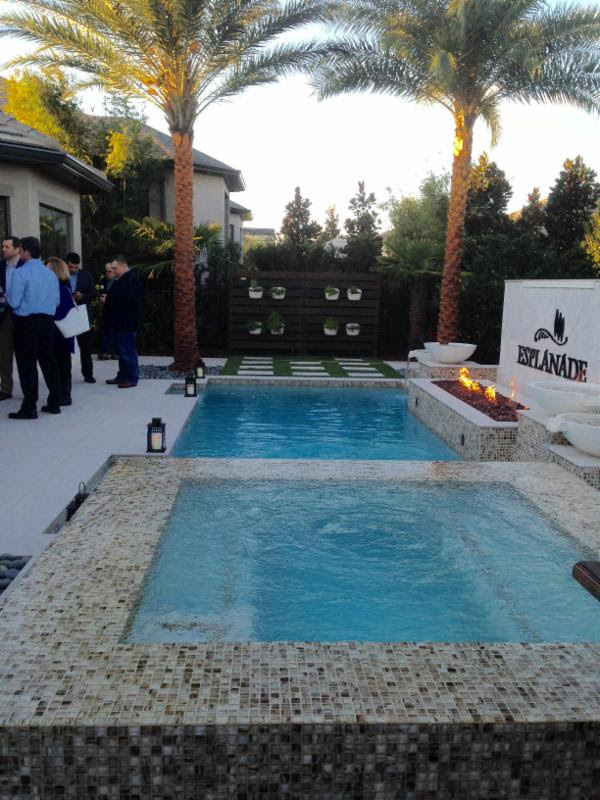 Like the New American Home, this home also combines indoor-outdoor living with the addition of an outdoor lounge. 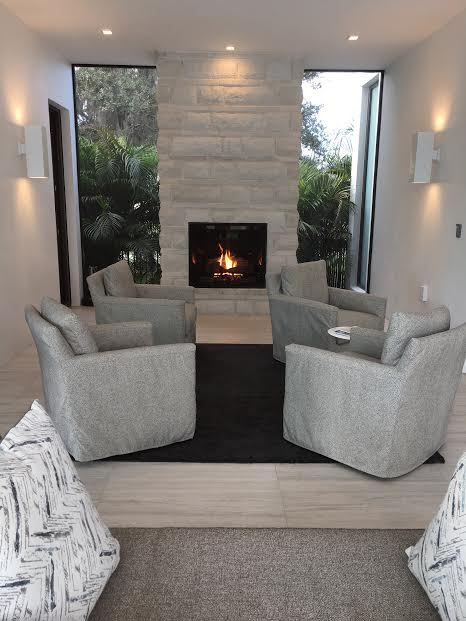 The TV offers entertainment, while the fireplace transports homeowners into a total state of relaxation. 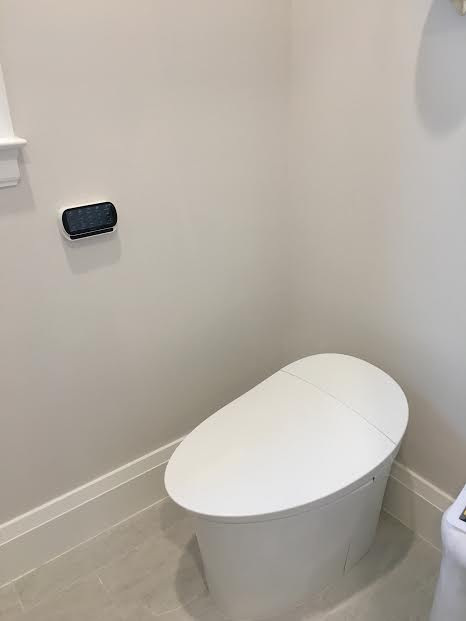 Homeowners will also have the latest technology installed in the bathroom. 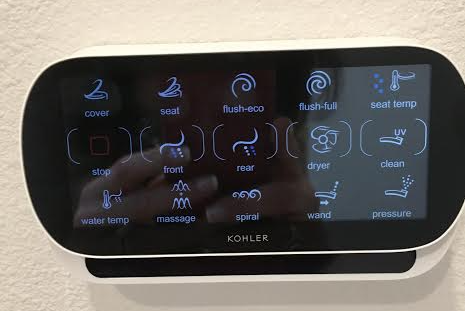 This state-of-the-art toilet has a remote control panel to provide comfort and luxury while sitting on the porcelain throne.